Another one of these. I had to. I don't own Pokémon or SpongeBob. It stares into your soul. 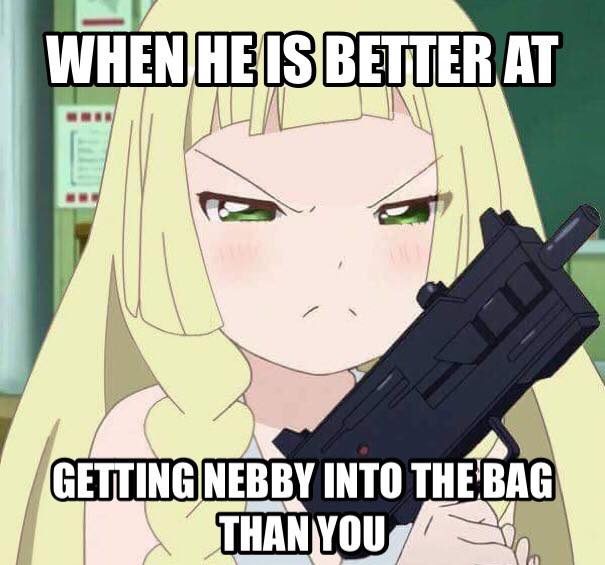 Nebby! Get in the bag! XD Sorry, I had to.